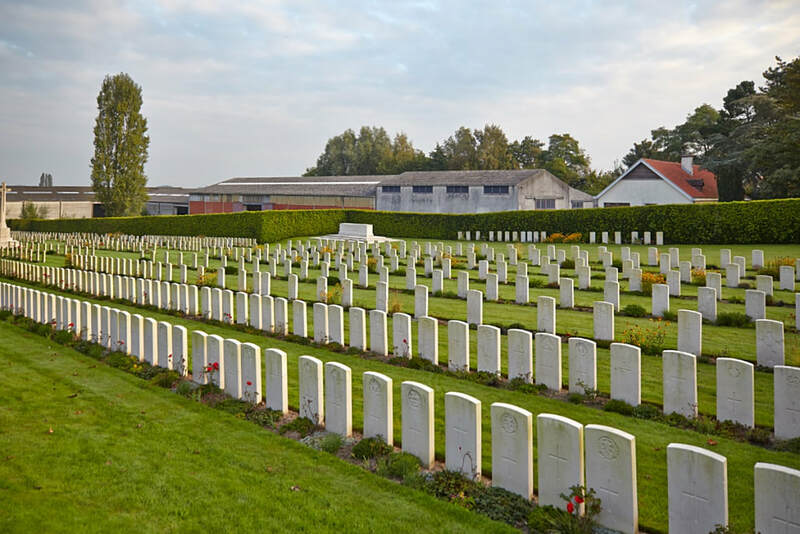 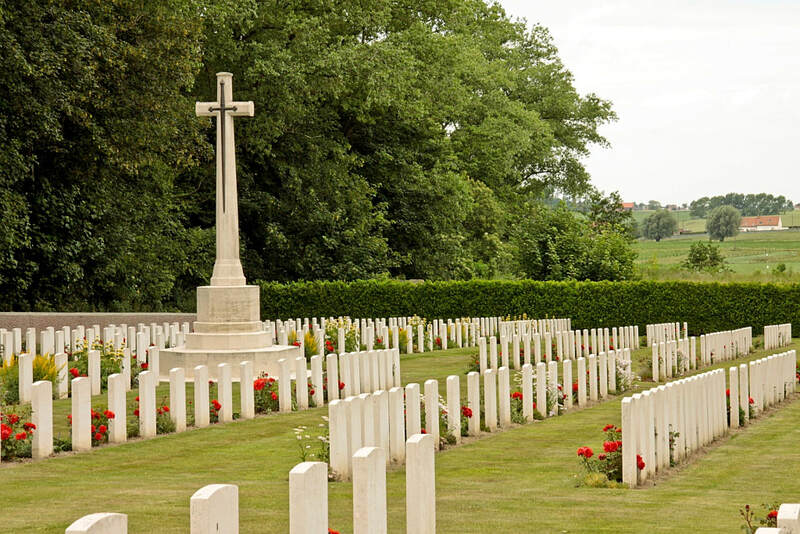 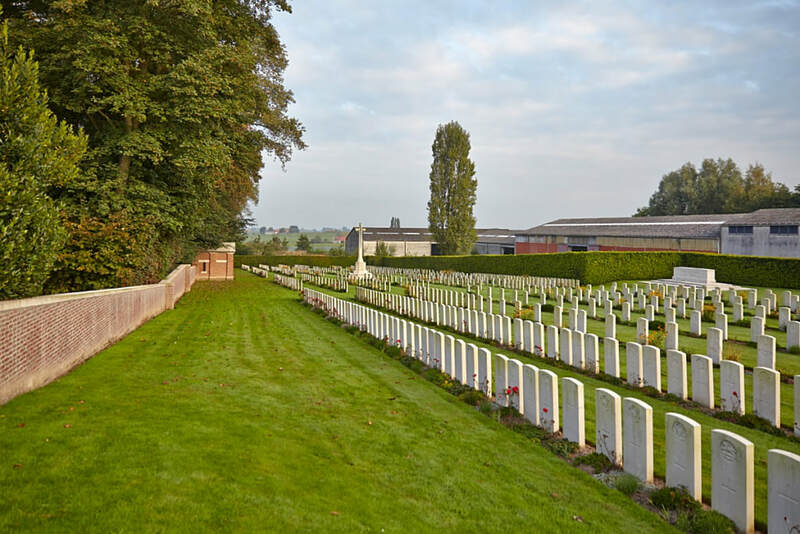 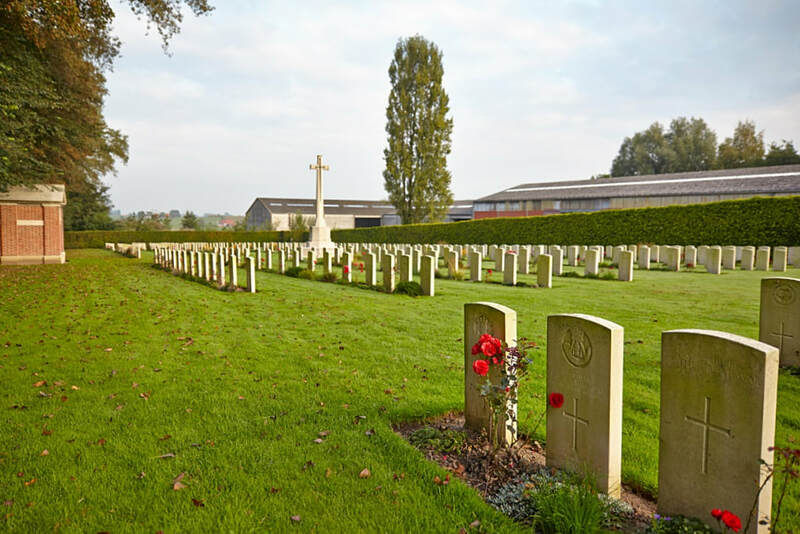 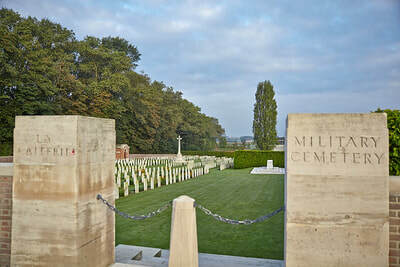 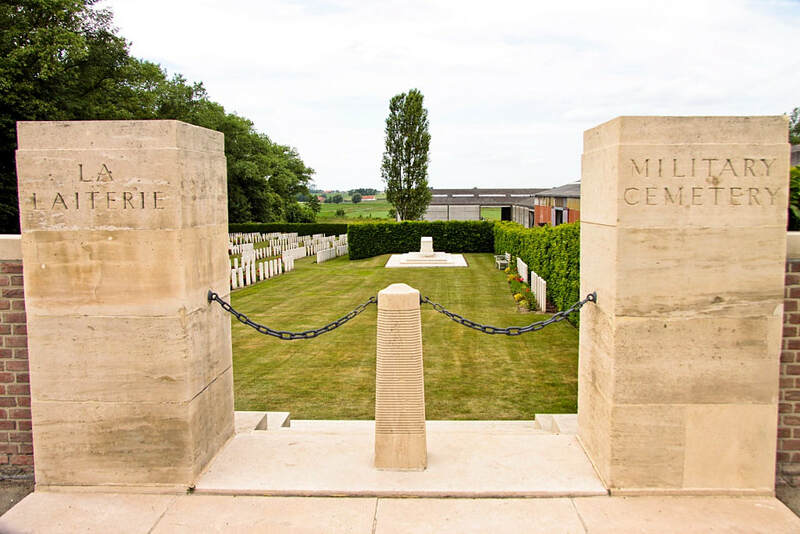 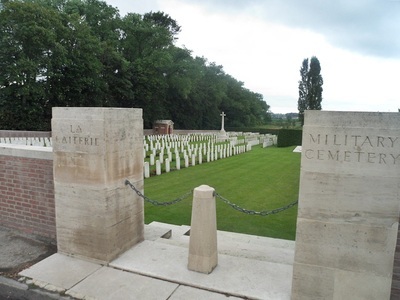 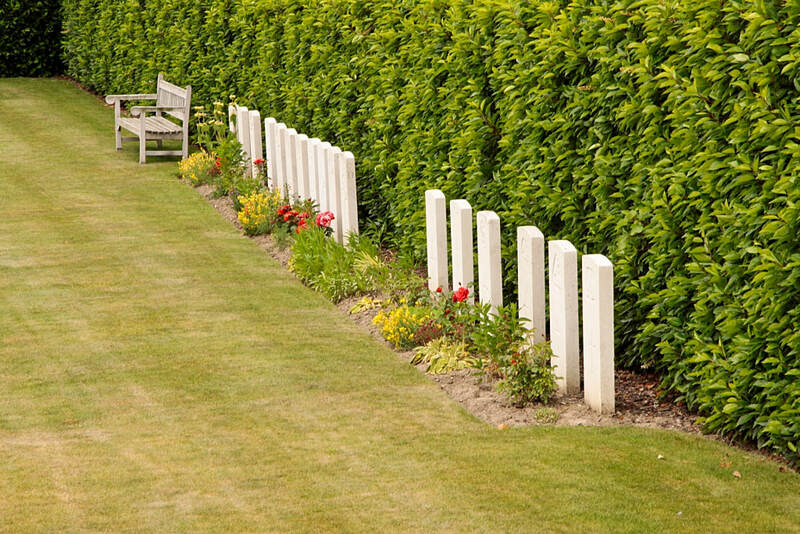 La Laiterie Military Cemetery is located 7 Kms south of Ieper town centre on the Kemmelseweg (N331), connecting Ieper to Kemmel. 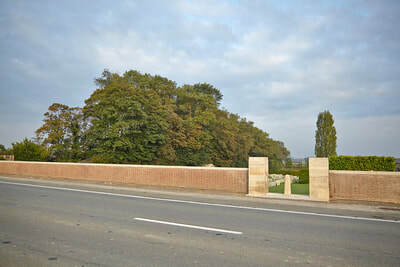 From Ieper town centre the Kemmelseweg is reached via the Rijselsestraat, through the Lille Gate (Rijselpoort) and straight on towards Armentieres (N336). 900 metres after the crossroads is the right hand turning onto the Kemmelseweg made prominent by a level crossing. 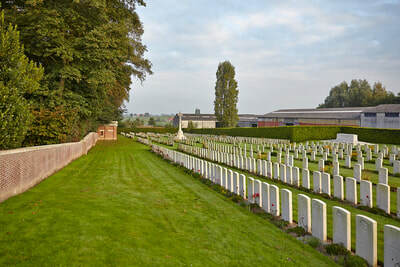 The cemetery is located on the right hand side of the road, 5 Kms after joining the Kemmelseweg. 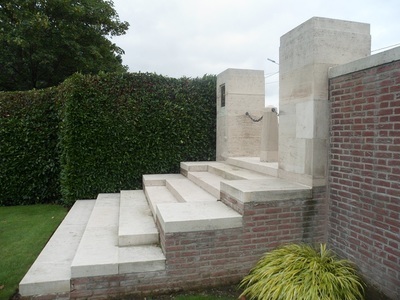 Wheelchair access to site possible - maybe by an alternative entrance. 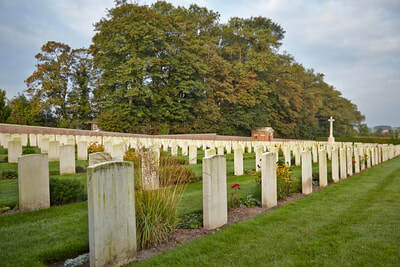 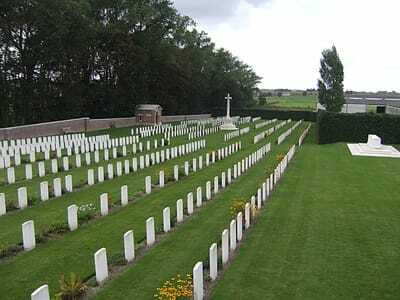 The cemetery, named from a dairy farm, was begun in November 1914 and used until October 1918 by units holding this sector of the front. 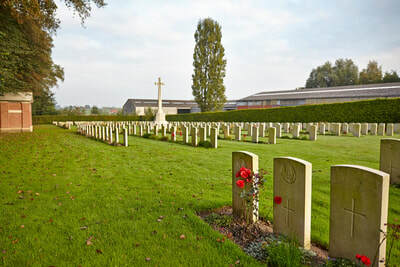 The different plots were, to a great extent, treated as regimental burial grounds; the majority of the graves in Plots II, III and X, for instance, were those of the 26th, 25th and 24th Canadian Infantry Battalions, respectively, and all but one of the graves in Plot VIII are those of the 5th Northumberland Fusiliers. 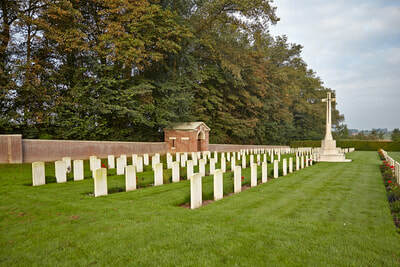 On 25 April 1918, the cemetery fell into German hands, but it was retaken at the beginning of September. 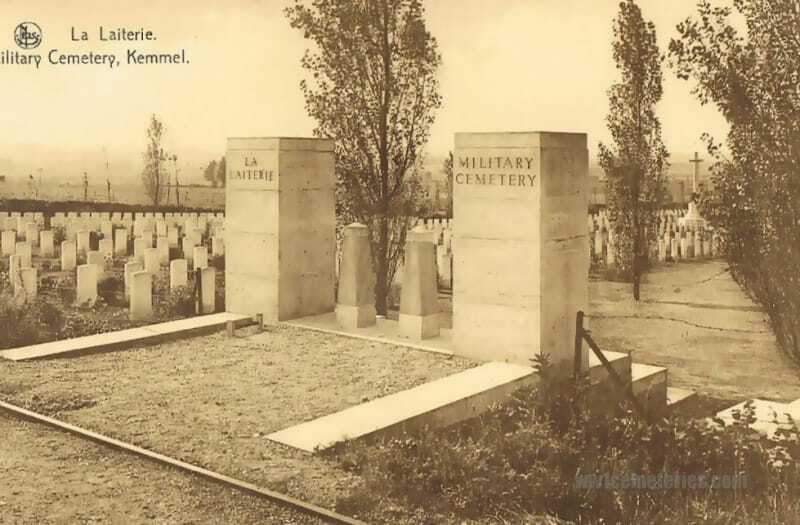 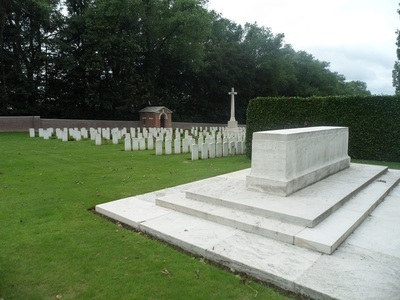 After the Armistice, graves were brought into the cemetery from the battlefields north and north-east of Kemmel. 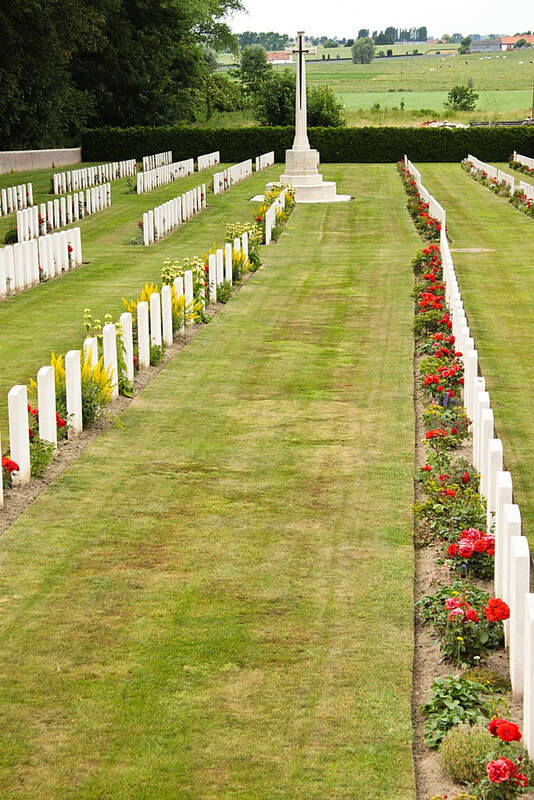 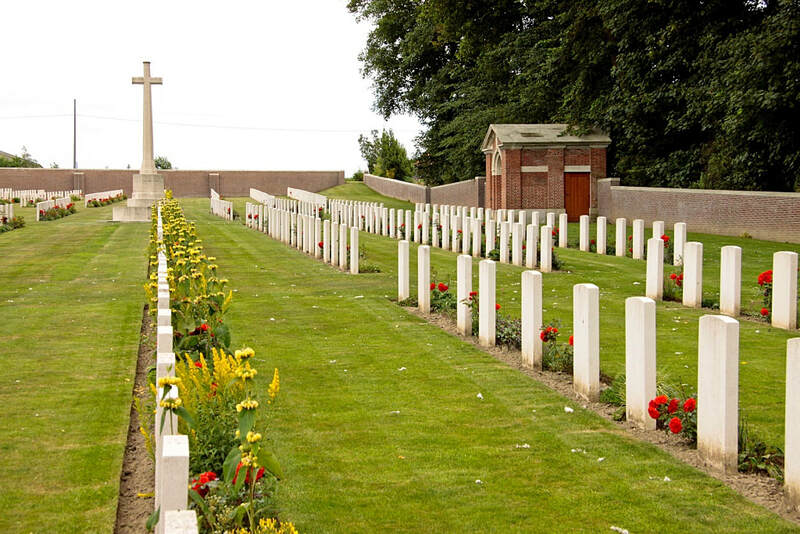 There are now 751 Commonwealth casualties of the First World War buried or commemorated in this cemetery. 180 of the burials are unidentified and special memorials commemorate two servicemen whose graves were destroyed in later fighting. 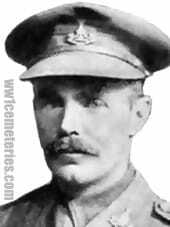 20th July 1916, aged 36. 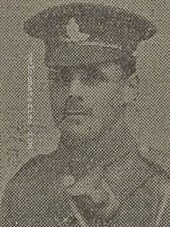 Son of the late Judge Bagshawe, K.C. 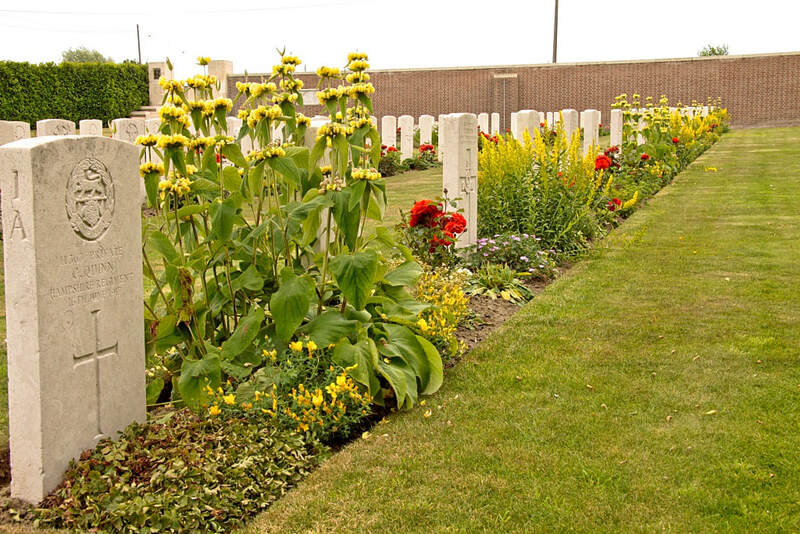 14th July 1916, aged 18. 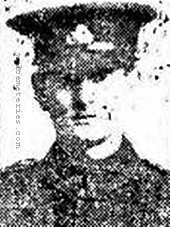 Son of Mr. L J Boothby, of 27, Strawberry St., Drypool, Hull. 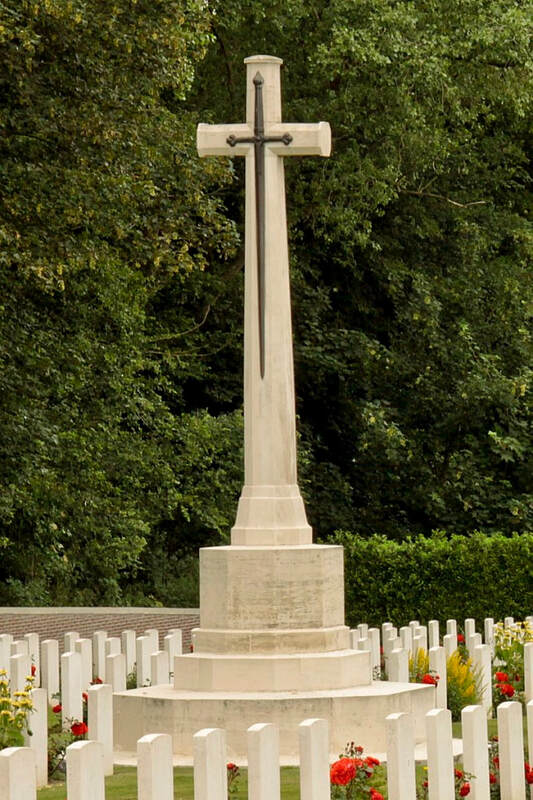 20th June 1917, aged 24. Son of George and Georgina Strode, of Batcombe, Dorset.